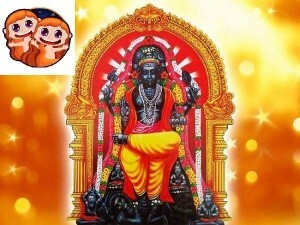 The Lord of happiness, wealth and fortune, planet Jupiter (Guru), moves from the sign Libra to Scorpio, ruled by Mars. Jupiter will be in Scorpio from Oct.11th. Jupiter transits to your 11th house on 11th October 2018 . So far, you were undergoing sufferings due to mental agony. Now you are going to enjoy the transit of Jupiter in your favorable house. You are going to get benefits and the Jupiter is going to give all kinds of unexpected favors in this transit to your 11th house. This is considered as a profitable house. During this time He is going to see by His holy 5th aspect on your 3rd house, by his 7th aspect to your 5th house and by his 9th aspect on your 7th house. These three houses will be strengthened, by this transit of Jupiter. On 11th October 2018, when Jupiter transits in your 11th house, it delivers 3 holy looks. One of its holy looks falls on your 3rd house which is known for your ‘ boldness ‘. By this aspect, your courage, self confidence, will improve. You will attain victories in all your efforts. Your happiness will increase. Your brothers and sisters will improve their status. You will get their support. Another holy look falls on your 7th house which is known for your ‘knowledge, children and ancestral properties’. By this aspect your knowledge will improve. Your brain will work in the right ways. Your intelligence will increase. Your children’s education and job opportunities will improve. You will get the blessings of your ancestors, unexpected benefits and lucky chances which will be helpful to your growth. Your spiritual activities will develop. Jupiter’s another aspect falls on the 7th house i.e. your ‘kalaththira sthanam’. By this if you are an unmarried person you will get married. Husband and wife will lead a happy and loving life. Your relatives will come closer to you. Your partnership business will flourish. Women will enjoy good health. Their mind will always roam in full happiness. Working women will get desired transfers and hike in their salary. During Jupiter Retrograde, Sagittarius, you will be put in determined efforts to manage your personal and career front. You will work towards acquiring some skills that will help you to promote yourself in your work field. You need to focus hard on your work if you need real progress in your work life. You might find some obstacles and uncertainties in your personal life, which can affect your health as well. Do not contemplate about things or situations too much. It would be better to stay calm and go with the flow during this transit. Retrograde Jupiter is in your 10th house from your Rashi. Poor judgments, lack of dignity, lack of honesty, will not be able to earn the respect of your superiors and certainly will prevent you from making professional or career progress. It causes biliousness and lethargy. Owing to it being in Saturn’s house, good effects may vanish. There will certainly not be a serious disease, but mental sluggishness will hamper your activities. Proper regard for honor and prestige is necessary here. Stress should not be made on all of this from the viewpoint of material progress only. Reverence for order, procedure, law etc., is essential. Worship Lord Saneeswaran on Saturdays with Til-oil lamps.. Transit of Ragu Ketu is not well. Worship Goddess Mahalakshmi on Fridays with Red Roses. Transit of Ketu is not well. Clean Vinayaka temple and worship Him.